pear, peach, apple, lots of fruit. Hints of caramel and some kind of sweetness. With water it becomes grassy and even floral. same fruit, pear is dominant. Vanilla as well, fresh herbs. No surprises here, medium length. Overall a great dram, not difficult at all. Well balanced! Blind tasting of a sample. Pear, vanilla, lime, peach, apple juice, oak, almond and some creamy caramel. Later honey and a little white chocolate. A very active juicy bourbon barrel. Water actually restrains the flavours but brings out a grassy touch. Apple, vanilla, pepper, honey, mint and caramel. With water a floral touch and more cream, but also a less outspoken profile. Pear, apple, vanilla, caramel, honey, peach and oak. intresting and verymature Glen Keith! This whisky is entirely to easy to drink.It is all lemons apples and shortcake. I am going through this lighter whisky very fast; I think because it reminds me of summer and I am ready for winter to end. 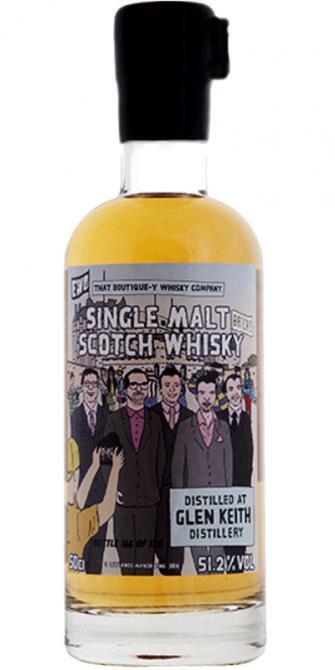 The guys at Edinbourgh whisky blog clear up the NAS thing stateing this is a 20yr single cask. C: Having just tried a Glen Garioch [23yo Signatory WB]. i was convinced it was another Glen Garioch, after all hey aren't far away from each other. Maybe I've drunk too many samples tonight or maybe I'm just becoming glib in my old age but like the Glen Garioch - life is too short. Similar profile - its candid, it's honest, it's standard fair which i can live without. Nose: Green apple flesh and juice, sweet lager syrup (it's a thing), sweet pea and sugar snap peas (two very different things), a touch of pitta bread too.Palate: Apple slices, honey and distant ginger biscuits. 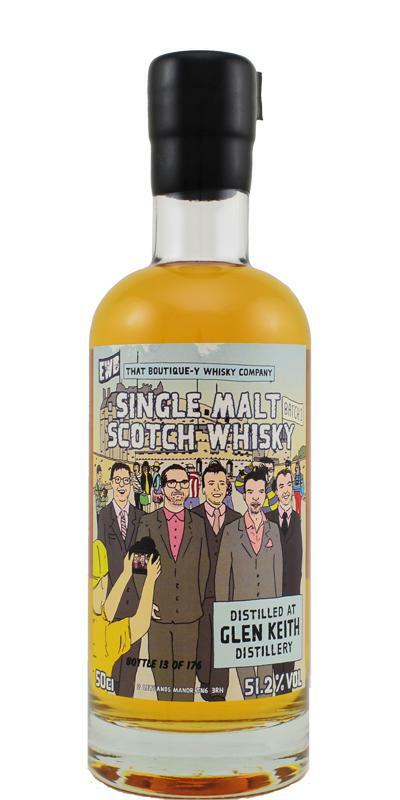 Quite rich but never in danger of becoming heavy.Finish: Good length with a little more ginger and a dollop of treacle.Overall: A gorgeous dram, it's really no surprise that the chaps from EWB selected it.